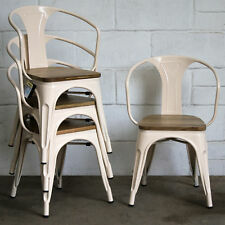 Florence Chair - Cream x4. Wooden Seat. Industrial Style. Seat Height from Floor: 45cm. Seat Area: 37cm (W) x 37cm (D). Base Area: 47cm (W) x 46cm (D). Order in the next. Product Specification. Padded serving lap trays. Industrial style. Industrial style storage units. Service level. We aim to resolve any problem as quickly as possible. 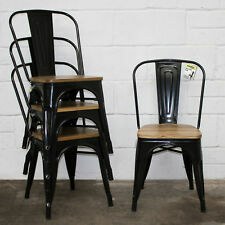 Forli Chair - Onyx Matt Black x4. Seat Height from Floor: 45cm. Industrial Style. Seat Area: 35cm (W) x 35cm (D). Base Area: 47cm (W) x 46cm (D). Order in the next. Product Specification Quick and simple dispatch. In good condition (see photos) just a little age ware and tare. Would always advise with any large furniture secure to a wall. Sold As Seen. Height 83 cms/ seat height 42.5 cms. If not the item will be relisted. Florence Chair - Pale Grey x4. Industrial Style. Seat Height from Floor: 45cm. Light Wood Seat. Seat Area: 37cm (W) x 37cm (D). Base Area: 47cm (W) x 46cm (D). Order in the next. Product Specification. Fabric Cushion & Back • Wear-proof and dirty proof thick padding fabric chair seat and chair back. • Dining chairs. • Weight: 4.5 kg per chair. • Colour: Grey. Protective Rubber Rings • At the bottom of legs, we match with the noise-proof and wear resistant rubber ring to protect your floor from scratch. 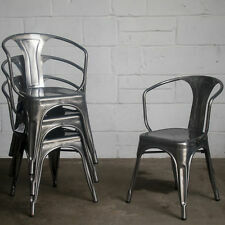 Siena Chair - Silver x4. Industrial Style. Seat Height from Floor: 44.5cm. Seat Width: 36cm. Order in the next. Product Specification Order Alterations. 00 119 118 117 116 115 114 113 112 111 110 109 108 107 106 105 104 103 102 101 100  99  98  97  96  95  94  93  92  91  90  89  88  87  86  85  84  83  82  81  80  79  78  77  76  75  74  73  72  71  70  69  68  67  66  65  64  63  62  61  60  59  58  57  56  55  54  53  52  51  50  49  48  47  46  45  44  43  42  41  40  39  38  37  36  35  34  33  32  31  30  29  28  27  26  25  24  23  22  21  20  19  18  17  16  15  14  13  12  11  10  09  08  07  06  05  04  03  02  01  00. Place your order from PROMOTION parts, to get window film by free. dining chairs --- ERGONOMIC DESIGN - The Coavas Dining Chair Fabric is dirt proof and with a confortable thick padding and Back. The Back of the Chairs fits your body Back shape for an optimum comfort while sitting. 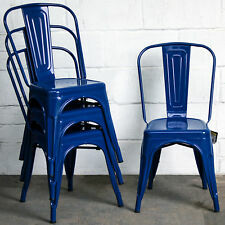 Siena Chair - Marine Blue x4. Industrial Style. Seat Height from Floor: 44.5cm. Seat Width: 36cm. LOW PRICES. Order in the next. Product Specification Order Alterations. 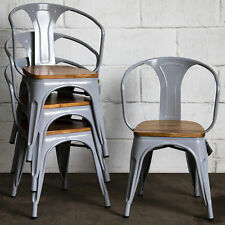 Buy this chair as a piece of rustic furniture in your kitchen or dining room. It is sturdy and strong, made from high quality wood. It has a tall upright cross hatched rattan forgiving back rest that give a great deal of extra support when you lean back. 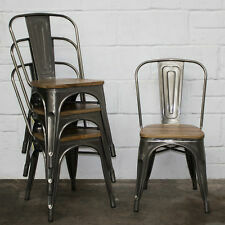 Industrial style chair, perfect for kitchen dining. Aged naturally. Siena Chair - Pale Grey x4. Seat Height from Floor: 44.5cm. Industrial Style. Seat Width: 36cm. Order in the next. Product Specification Order Alterations. Anti-Slip Feet to Protect Floors and Reduce Noise. Forli Chair - Pale Grey x4. Industrial Style. Seat Height from Floor: 45cm. Seat Area: 35cm (W) x 35cm (D). Base Area: 47cm (W) x 46cm (D). Order in the next. Product Specification Order Alterations. Palermo Chair - Pale Grey x4. Seat Height from Floor: 45cm. Industrial Style. Light Wood Seat. Seat Width: 37cm. Order in the next. Product Specification Order Alterations. Roma Chair - Graphite x4. Industrial Style. Seat Height from Floor: 45cm. Dark Wood Seat. Seat Width: 37cm. Order in the next. Product Specification Order Alterations. 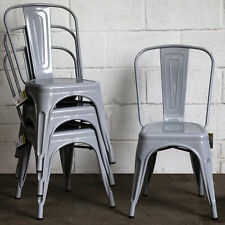 Roma Chair - Pale Grey x4. Seat Height from Floor: 45cm. Industrial Style. Dark Wood Seat. Seat Width: 37cm. Order in the next. Product Specification Order Alterations. Brand Unbranded MPN Does Not Apply EAN Does Not apply. The seat adds a trendy touch to any industrial, retro-influenced as well as modern interior. 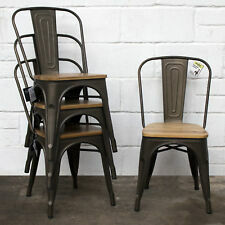 Type: Dining Chair. 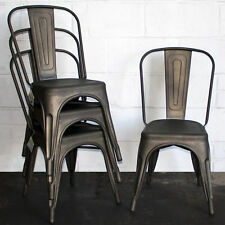 Industrial Side Chair. Folding Garden Chair Blue CASTO. Folding Garden Chair Mint Green CASTO. 🎀Dining chairs Set of 4 --- ERGONOMIC DESIGN - The Coavas Dining Chair Fabric is dirt proof and with a confortable thick padding and Back. The Back of the Chairs fits your body Back shape for an optimum comfort while sitting. Seat Height from Floor: 44.5cm. Industrial Style. Seat Width: 36cm. Order in the next. Product Specification Order Alterations. Anti-Slip Feet to Protect Floors and Reduce Noise. 00 59 58 57 56 55 54 53 52 51 50 49 48 47 46 45 44 43 42 41 40 39 38 37 36 35 34 33 32 31 30 29 28 27 26 25 24 23 22 21 20 19 18 17 16 15 14 13 12 11 10 09 08 07 06 05 04 03 02 01 00. 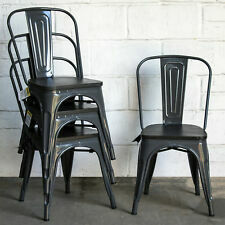 Palermo Chair - Black x4. Seat Height from Floor: 45cm. Industrial Style. Light Wood Seat. Seat Width: 37cm. Quick and simple dispatch. Width: 43 cm. Height: 86 cm.